Hello. I'll be on your radio. Tonight! 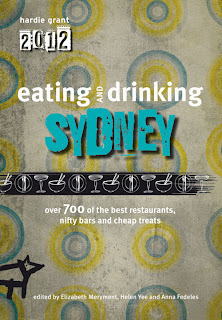 You'll be able to hear me on ABC Radio* with Dominic Knight talking live about one of his favourite things - yum cha! Because really, who doesn't love yum cha? Delicate dumplings, fried whitebait, silky rice noodles, quivering coconut jelly and glossy egg tarts... What's not to love? Yum cha always makes me feel like a kid again. It was probably my first introduction to eating out, accompanying my parents and siblings on the train for a weekend treat in the city. My experience of yum cha has always been about noise. The clink of chopsticks. The constant chatter. The squeak of yum cha trolleys, and of course, the plaintive call of the trolley ladies hawking their wares as they trundle around the room. Siiiiiuuuuu maiiiiiiiiiiii. Haaaaaaaar goooooooooowww.You could always spot the lady lumped with the hard-to-shift spring rolls, the desperation in her voice apparent as she made yet another futile circuit. * Check the end of this post for the live broadcast details! At East Ocean in Sydney's Chinatown, they've done something drastic. They've gotten rid of the yum cha trolleys. In its place are a-la-carte menus where diners use a pencil to mark their selections. I chatted with staff two years ago for the Food Lovers Guide to Chinatown, and they admitted there was an initial drop in business when the change was first made. People were used to seeing the dishes before their eyes before they ordered it. Why make the change? The restaurant says that diners can be guaranteed that all dishes are delivered fresh to your table from the kitchen. The dining room is quieter and less crowded, and there's much less food wastage at the end of the day. Making the ordering process easy for diners was an ongoing challenge. Now it's been refined to a fold-out paper order form accompanied by a corresponding menu with photos of every dish. Child's play! The dilemma of ordering from a menu is trying to work out exactly how much you think your table will eat. The paper form allows two rounds of ordering -- although I'm sure they wouldn't stop you from ordering a third -- but when you're eating with a group of nine, things definitely get a little tricky. We plow on regardless, trying to take in dietary requirements, palate preferences and personal favourites. The order form is handed to a waiter who returns with a register receipt listing all your requests. It's worth checking your order has been punched in correctly - we found an error and had to get it corrected. If there's one universal barometer to the quality of a yum cha house surely it's the har gow test. Every table has at least one bamboo steamer of these king prawn dumplings. I know one family where each kid gets their own bamboo steamer to scoff on their own! What makes a good prawn dumpling? It's about the skin - thin and translucent so you can see the blush of prawns inside, but strong enough to hold the filling without bursting. The prawns should be fat and sweet and generously portioned, and the entire pleated parcel should be steamed until just cooked, without going soggy in the process. These passed with flying colours. Pai gwut, or pork ribs, is another favourite dish of mine. There a few things more satisfying than gnawing at fatty chunks of meat still attached to the bone. These are steamed gently so the meat is tender, pepped up with salted black beans, slivers of chilli and a gentle splash of soy. Fung jao, or chicken feet, are often looked at with horror, but seriously this dish is all about the sauce. It's a sticky braise of garlic, black bean and chilli that soaks into the chicken feet, a textural playground of squidgy skin and crunchy tendons. Invest a little patience into sucking every scrap of flash, and soon you'll have a little pile of bones stripped clean to show for your efforts. Gao choy gow garlic chive dumplings are another example of master craftmanship, filled with a huddle of peppery garlic chives and pleated with intricate precision. So every Chinese mother tuts with dismay over the mark-up on a bunch of blanched gai lan or Chinese broccoli, but at yum cha it's always done so well. The stalks are crunchy and vibrant green, and the leaves are almost velvety in softness. A dousing of oyster sauce makes everything better. Prawns feature heavily at yum cha. I have a friend with a prawn allergy who takes an antihistamine before any yum cha outing because they make their appearance in so many dishes. Ha cheung, or rice noodle rolls with prawns is one of our family essentials. Fat prawns hide in silky sheets of freshly steamed rice noodles. It's a contrast of slippery noodle against the resistance of steamed prawns, all bathed in a sweet soy dressing. Ja leung is a rice noodle variation that's worth pursuing. These involve a deep fried dough fritter -- an airy baton of crunch -- wrapped up in a sleeping bag of rice noodles. These are often hard to track down in yum cha house, requiring speed in frying the fritters, wrapping them in noodles and then delivering them to tables before the fritters become soggy. Because they're served fresh from the kitchen here, everything works brilliantly. We're on a prawn frenzy, and ordering both the boiled and deep-fried prawn dumplings. The boiled ones are far worthier, wrapped in wonton skins and served with a side of greens. Pan-fried rice noodles are all about the caramelised crunch from the pan. These aren't particularly golden but sesame seeds and peanut hoisin sauce make some amends. There's a little more caramelisation on the lo bak goh panfried turnip cakes. These are made by grating daikon, or white radish, and steaming it with a rice flour batter dotted with diced lap cheong Chinese sausage and shiitake mushrooms. I know this because I made this one day, over several hours, and realised why it really is worth savouring this dish at yum cha for so much less effort. Dumplings ahoy! Siu mai pork dumplings are dotted with crab roe here, not the masquerading grated carrot you sometimes see elsewhere. The xiao long bao Shanghai dumplings hit a few hurdles, mostly trying to pick up the dumpling from the basket without tearing the skin. The treasure of the Shanghai dumpling is the pocket of soup inside, best enjoyed by biting a little hole and the side of the dumpling and slurping it immediately. The broth should be a balance of salty and sweet, and fragrant with the flavour of pork. I've saved my personal favourite for last - ham soi gok. Often described as combination dumplings, they're listed here as 'deep-fried crescents with pork and seafood'. In our family we call them footballs. There's not a lot of filling in these -- just a teaspoonful of pork mince and dried shrimps -- but the joy of these is the shell, a thin crisp exterior that gives way to a starchy sticky glutinous dough that is faintly sweet. The only slightly stressful thing we found about a-la-carte was having to check that everything we ordered did arrive, but we did notice the difference in having everything piping hot and fresh from the kitchen. We were relieved to see a few trolleys and trays still circulating the room with special dishes. But thankfully, for the trolley pushers, there wasn't a spare spring roll to be seen. 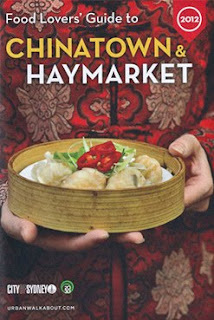 Speaking of Chinatown, you may have noticed copies of the updated Food Lovers' Guide to Chinatown and Haymarket for 2012. 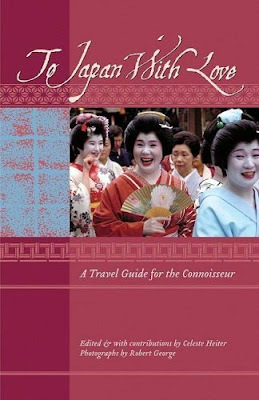 I was again approached to provide reviews for this handy little booklet, promoting the diversity of Sydney's Chinatown to tourists and locals alike. The latest edition has also been translated into Chinese which is rather cool. 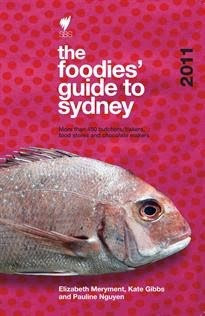 You'll find copies at tourist information booths, selected hotels and at most of the businesses featured in the guide. 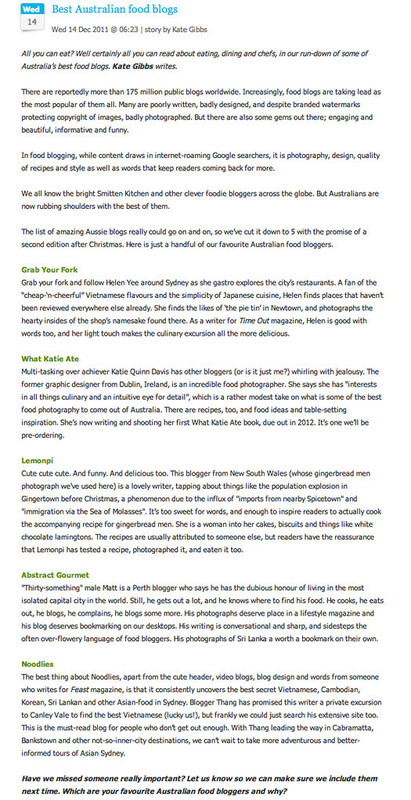 I was also pleased to discover that Grab Your Fork was named as one of the best Australian food blogs by Kate Gibbs on JamieOliver.com. Kate estimates the number of public blogs worldwide at more than 175 million with food blogs "taking [the] lead as the most popular of them all". 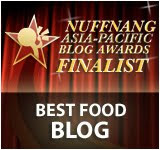 Kate's list of best Australian food blogs included Grab Your Fork, What Katie Ate, Lemonpi, Abstract Gourmet and Noodlies. To read the entire article, click here or view online. And finally you can listen to me talk all things yum cha with Dominic Knight (writer for The Chaser) on his Evenings show on ABC Radio tonight. Tune into: AM 702 Sydney, AM 1233 Newcastle, AM 666 Canberra or listen online. Wife and i recently been going to yum cha again in downtown the valley in Brisbane.You made me very hungry for some more more more !!!!!!! My friends in HK made it sound like Australia was in the dark ages when I mentioned that we still have trolley service at yum cha.. I do see the pros of a-la-carte, but it must make it hard if you don't know the names of what you want! I was a late comer to yum cha but I haven't stopped making up for lost time....I am looking at all these pictures and even though it's early in the morning all I want are dumplings! I do love the buss that comes from yum cha. Its such a fun experience and usually delicious! Ham soi gok are my favourite too! Football shaped deliciousness. A trip to yum cha is not complete without ham sui gok for me. I could eat a whole plateful by myself! good luck on the radio tonight! we would be listening. Card vs cart! what a dilemma. I really like the card for all the usual fare with out waiting and hunting. I really appreciated the extra freshness with steamed and deep fried item since EO changes to the card system. Still definitely enjoy having the "specials" circling so I can have an excuse to succumb to temptation. EO do both and I love them for it. Har gow @ EO is currently the one I like the most! It is so sad to see all the trolleys gone, I loved smelling and seeing all the dishes and being able to visually pick and choose. It's not the full yum cha experience with the trolley karts! Congrats on being named one of the best blogs in Jamie Olivers website and ur on radio too!! Good on ya woman! ... ps i dont like the pre order forms... but im a bit of a traditionalist when it comes to yum cha tho lol! Those Siu Mai look delicious. I think that the paper ordering system takes some of the impulse out of trying something new. I don't feel like I'm being adventurous ticking a box with chicken claw next to it. Ah man dying... need yum cha now. Was there two weeks ago with friends. Sure does get packed out. Oh my. I am fighting off the biggest yum cha cravings right now, thanks to you! Awesome work as always and congrats on the multiple media mentions - you're across all platforms! Is that what they call a triple threat in blogging? Whatever it is, it's very well deserved! The prawn and the garlic chive dumplings would definitely be on my to order list.